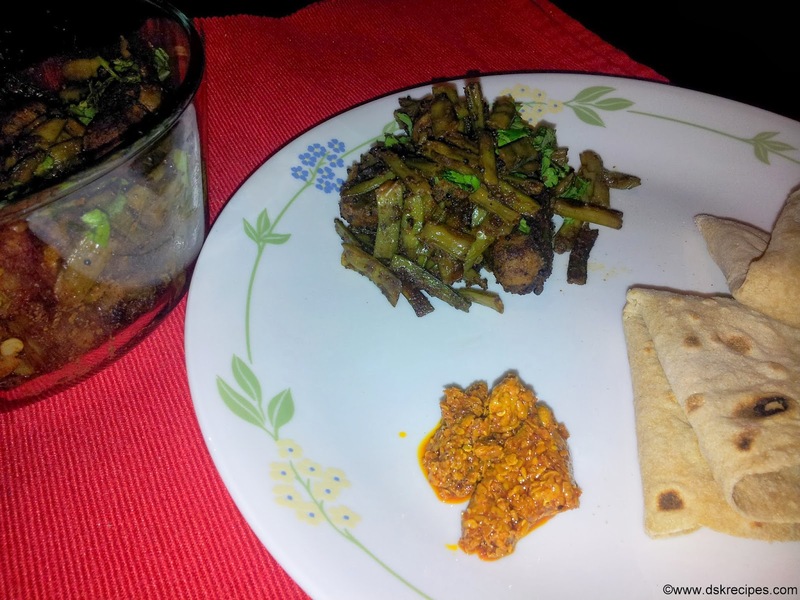 Gavar / Gaur / Gavar phali / Cluster beans is commonly cooked vegetable in most Indian homes. Its always nice to have some change everyday vegetable. 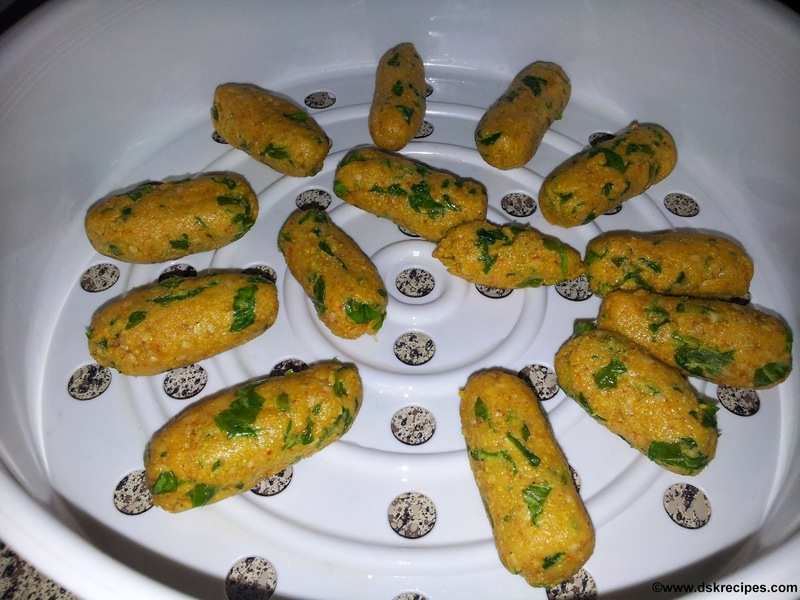 Muthiya is an Gujrati snack which added in undiyo or when fried its a snack for tea time. 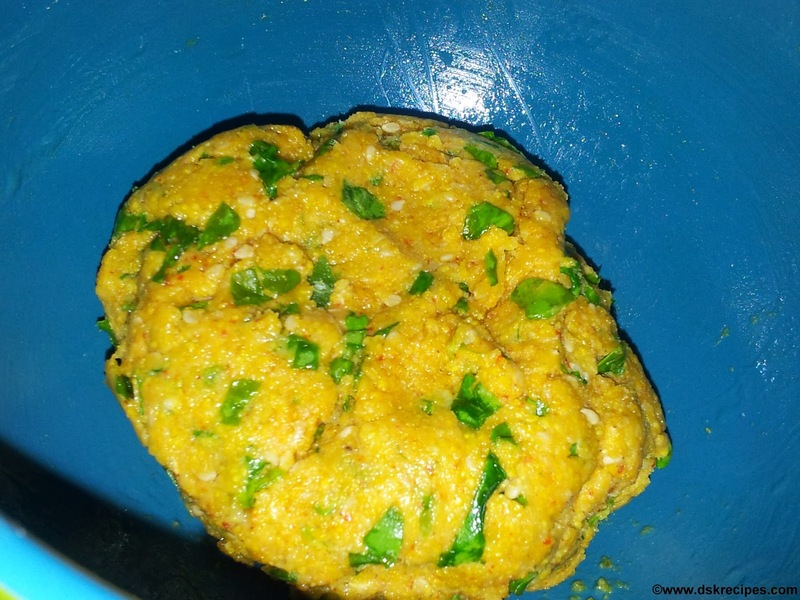 I have cooked muthiya with gavar and the sabji tasted great. It does not take much time and real easy too. 1. Do not chop gavar with knife as it tend to spoil its taste. Break the gavar into small pieces with hands and remove the threads from the sides. 1. 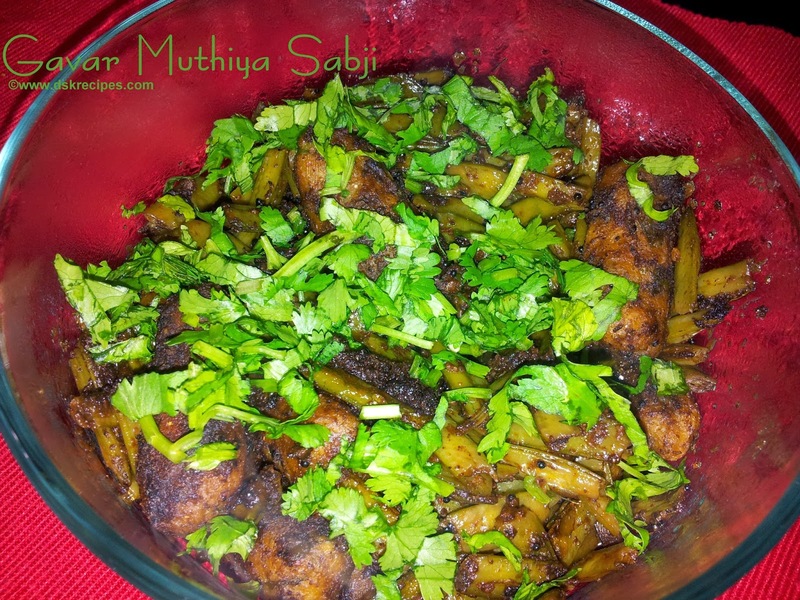 In a bowl mix all the ingredients listed under muthiya and mix well. 2. Add water and knead a dough. The should not be very soft. 3. Now make small rolls as shown in below picture. 4. 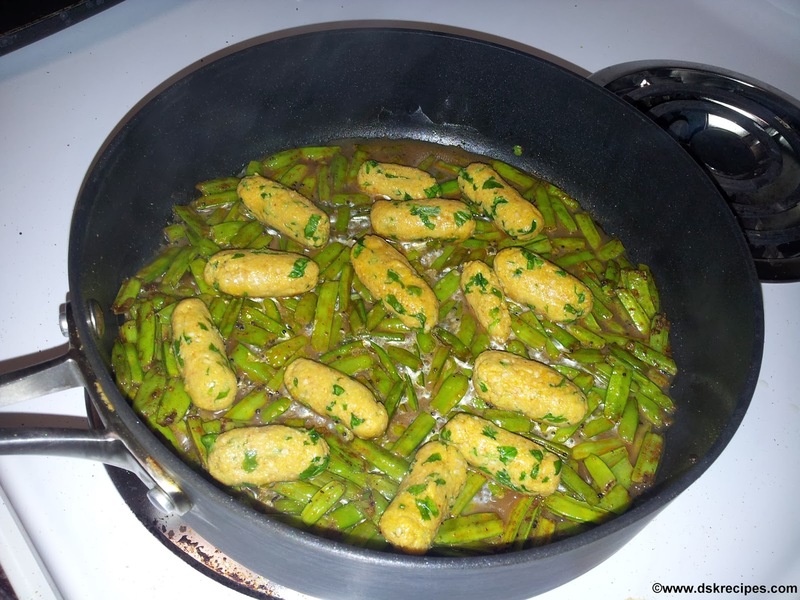 For making sabji : Now heat oil in pan add mustard seeds and allow them to crackle. 5. Add hing and add all the spices listed under ingredients. 6. Add chopped gavar and mix well. Sprinkle little water and cover with a lid. 7. When the gavar is half cooked add salt and place the muthiya in the pan. 8. Add some water and cover the pan with a lid. And let the vegetable cook completely and till muthiya is cooked. Muthiya when cooked should be semi soft. 9. 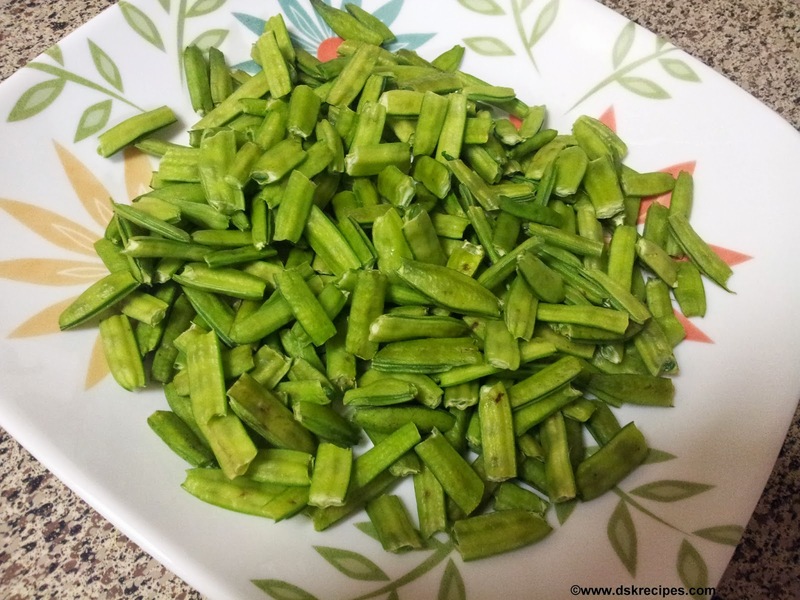 Garnish with fresh corriender leaves and serve hot with chapati.